SMART (Science, Maths And Real Technology) is an innovative, not-for-profit science communication outreach program delivered by the Science and Engineering Challenge and supported by the Faculty of Science at the University of Newcastle, Australia. SMART shows and workshops support the K-6 science and technology curriculum and can be delivered in schools, at community venues or at the University of Newcastle. SMART shows use audience interaction, demonstrations, drama, stories, robots and multimedia to explore STEM concepts and careers. SMART workshops offer inquiry-based learning through hands on STEM exploration. SMART offers STEM focused Professional Development for Early Childhood Educators through Little Scientists, and NESA accredited 'Robotics in the Classroom' PD sessions for Infants and Primary Teachers. 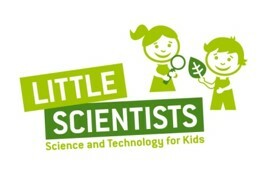 The SMART Program has partnered with the Little Scientists Initiative to provide professional development workshops in STEM for early childhood educators.